• The River Kwai Jungle Rafts in Kanchanaburi, Thailand. This floating hotel is only accessible by boat and has no electricity! But it was amazing. 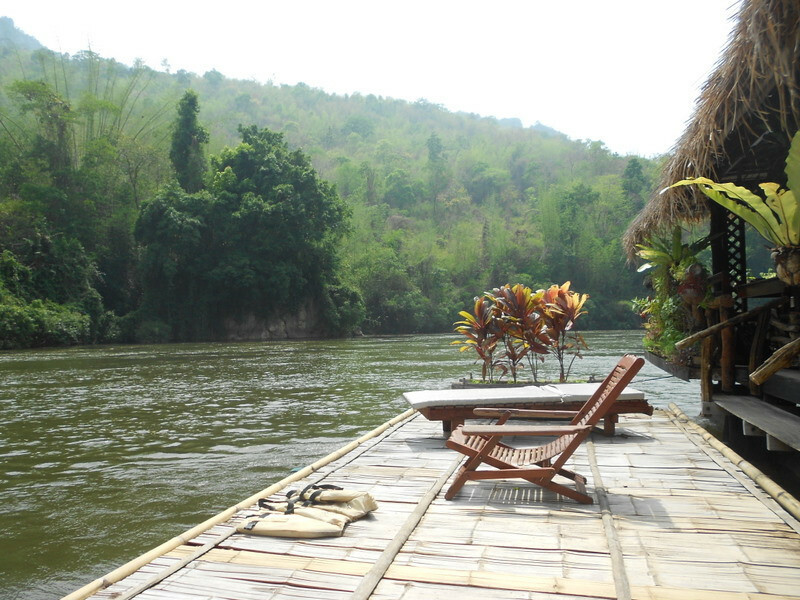 You can jump off the front deck and float down the river or watch elephants bathe from the hammock on your balcony. 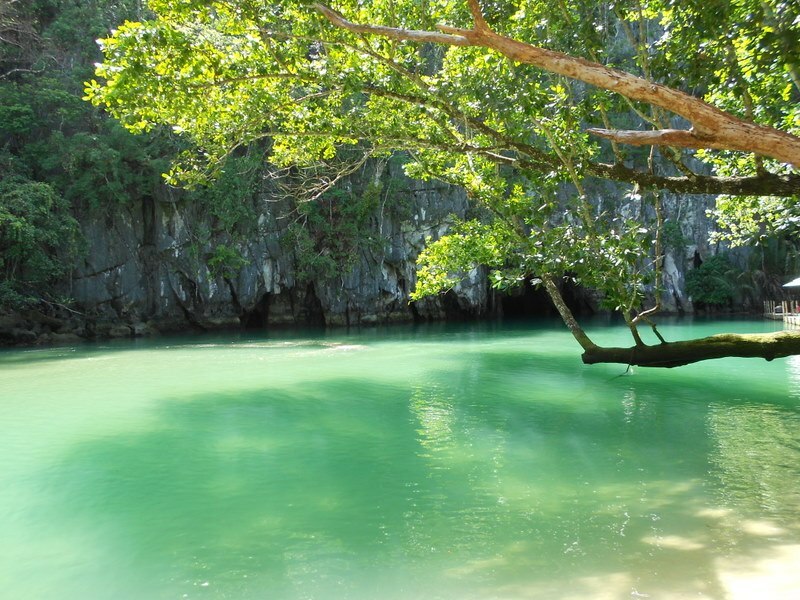 • The Puerto Princesa Underground River on Palawan Island in the Philippines. Named one of the new wonders of nature in 2012, you can take a boat ride on the river into an enormous cave. On land, you’ll see giant monitor lizards and monkeys hanging out together and the most gorgeous green water you could imagine. • Street food stands in Hanoi, Vietnam. 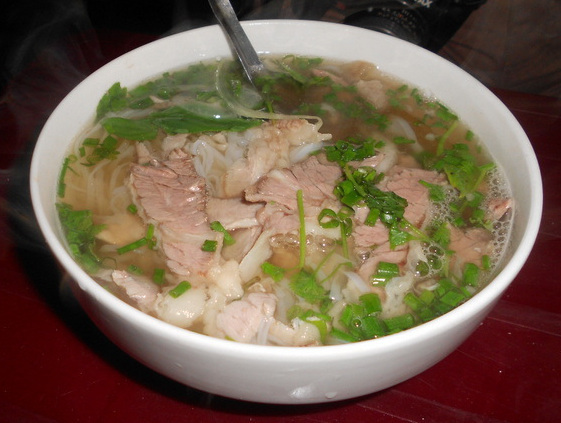 I don’t even care for Vietnamese food, but the pho I ate at one of the many tiny tables set up along the sidewalks of this charming city was so delicious. Chances are there won’t be any English spoken here but a little pantomime can go a long way. After dinner grab a beer at a roadside bia hơi joint. 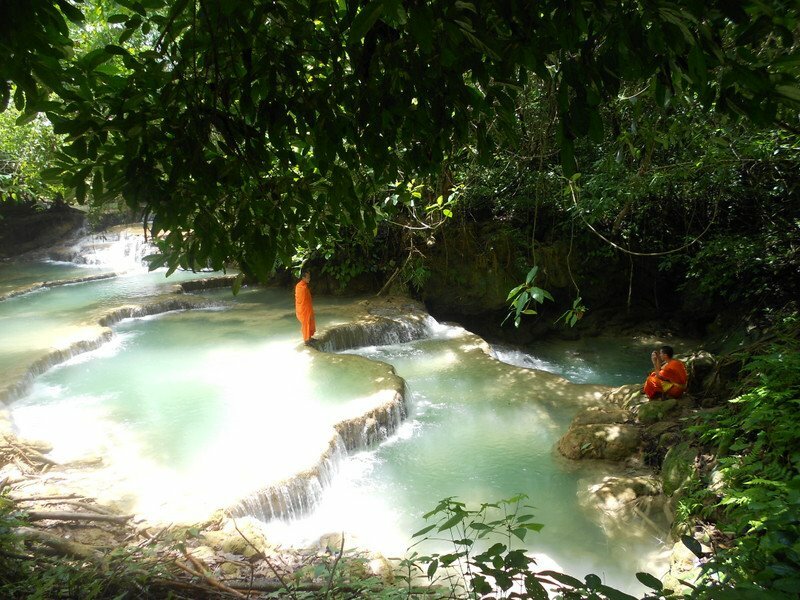 • Kuang Si Falls near Luang Prabang, Laos. Best swimming holes in the world! But please be respectful of the local culture and wear a t-shirt over your bathing suit. There are tons of signs posted yet I saw so many foreigners in bikinis. Also be sure to visit the Bear Rescue Center at the entrance to the park! • Beng Mealea near Siem Reap, Cambodia. Angkor Wat gets all the hype but I preferred this remote temple that can be reached by tuk-tuk in two hours. Prepare for a dusty, bumpy ride… But it’s worth it! 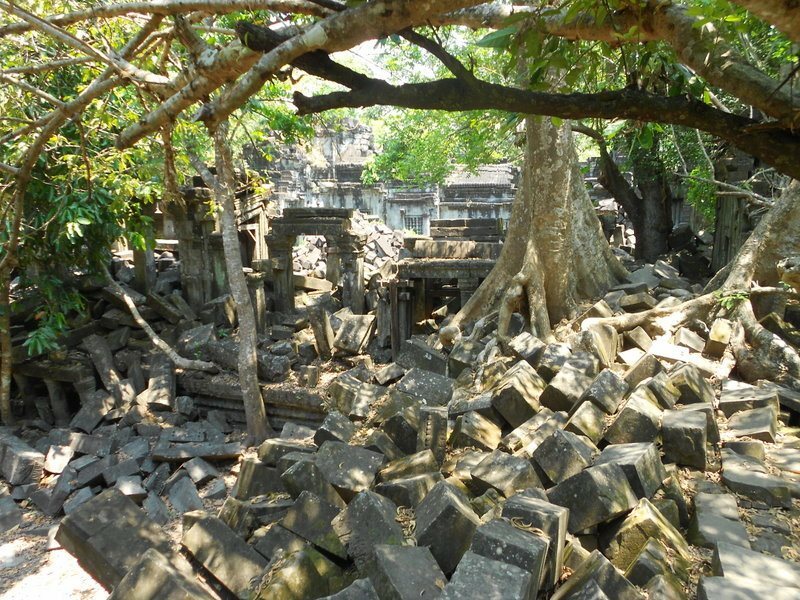 Beng Mealea has been consumed by the jungle and left to ruin, which to me only adds to its beauty. You can climb up and over fallen rocks and rubble. Since there are many trees, it is also much shadier than other temples. • Phang Nga Bay Sea Kayaking near Phuket, Thailand. Definitely do the Hong by Starlight tour with John Gray’s Sea Canoe. Expensive but so worth it! 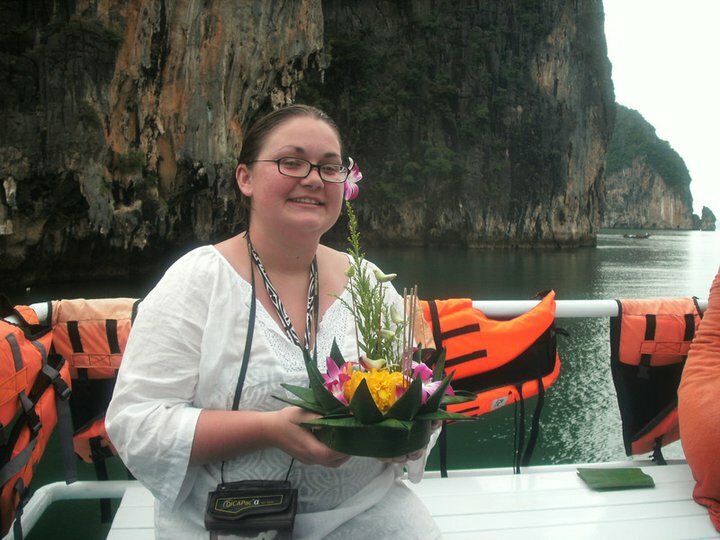 Amazing guides, great food, beautiful scenery, monkeys, swimming… I also loved making krathongs out of banana leaves and flowers and making a wish as we watched them float away in the candlelit lagoon. Magical! • Nipah Guesthouse in Pulau Pangkor, Malaysia. This is the best hotel I have ever stayed at because of its owners. Nicest, friendliest people you will ever meet! Alicia and Anuar really went above and beyond to make our stay exceptional. 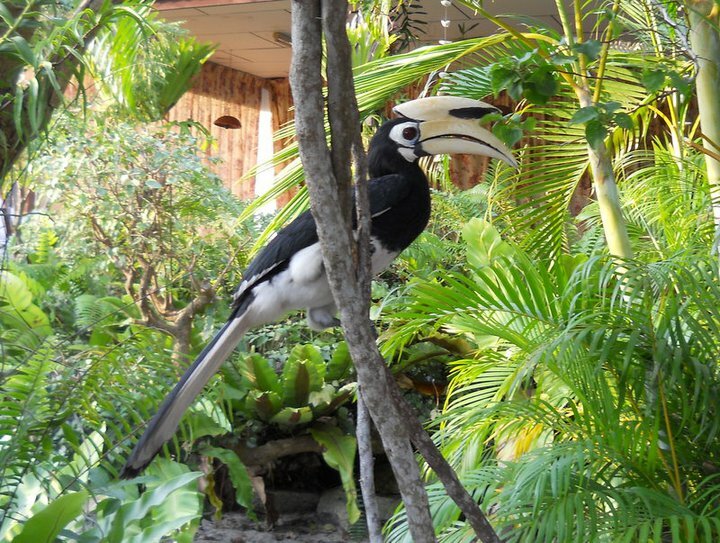 This is a great place to visit if you want to relax for a few days… Read in a hammock, take a leisurely stroll to the beach, munch on banana fritters, and feed the hornbills. Walking to Coral Island during low tide is fun too! 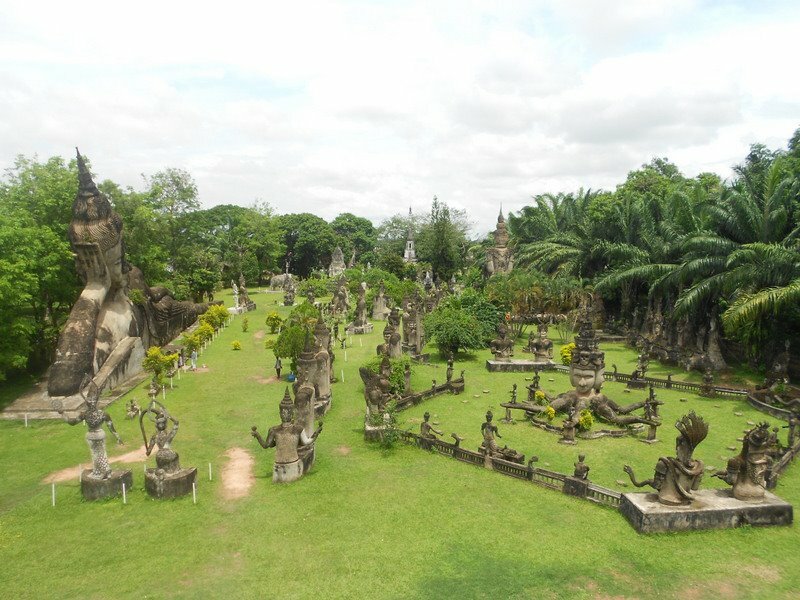 • Buddha Park near Vientiane, Laos. There isn’t much else to do near this city so if you’re in the area, definitely check out this sculpture park! So many bizarre Hindu and Buddhist statues. There’s also a giant pumpkin with three levels (hell, earth, and heaven) that you can go inside. From the top there’s a great view of the entire park. • Bali, Indonesia. This island is my favorite place in the world (so far). I love the offerings that are EVERYWHERE. 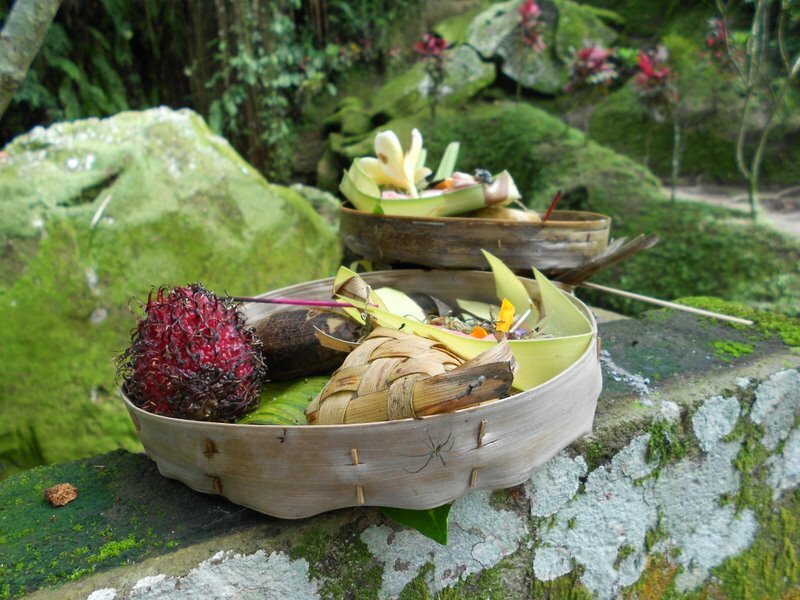 Balinese people are very spiritual. They believe that Bali is populated with gods, ancestors, spirits, and demons and the offerings are meant to show respect and gratitude. I saw many items presented in the offerings, such as fruit, candy, cigarettes, money, crackers, and incense.